One of our senior network engineers recently came across a basic Windows 2016 installation issue on a Dell T130. Although the source and our technician were installing on different server models, the solution is workable on both. The source attempted several solutions that failed. Then, he contacted Dell Support who told him that Dell PowerEdge T430’s out of the box BIOS 2.4.2 build doesn’t support UEFI on USB Drives. Thankfully, there are several solutions that can resolve this issue. The source recommends creating a DVD of the OS. While the source in the article recommends this as a solution, our technician said that the OS is too large to put on a DVD. The source also recommends setting the boot settings to BIOS instead of UEFI. This solution is suggested as a last resort because this means the hardware will only recognize 2TB of drives usage and would prevent the source from exceeding 2TB usable space. Install a program that will properly format a USB drive to adhere to the Dell PowerEdge new standards. Our technician found this to be the most effective solution. Start the tool as administrator. Give it the ISO image of windows server 2016 and let the tool create the bootable USB. 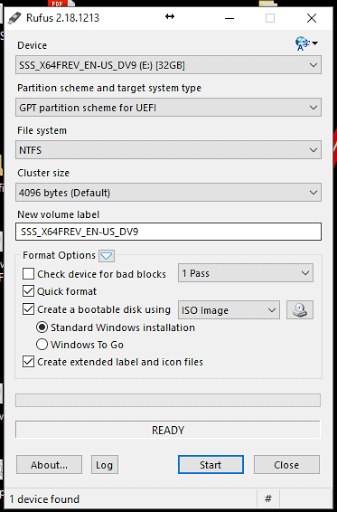 In the server boot settings make it UEFI and then make the partition GPT. Convert partition MBR to GPT. While the source who wrote the article found this to be an essential step, our technician didn’t find it necessary. Solution 4: The source also recommended installing the Windows Server OS via the iDrac. If you don’t have a license for iDrac, you can use a 30-day trial signup. Copy the ISO of the O.S. you want to install to a local machine. Configure the iDrac from the BIOS settings of the server. Plug a network cable into the iDrac NIC on the server. Give the iDrac card an IP address via the BIOS. Now, from your local machine, go to the Web GUI in Chrome using the IP address of the iDrac card. From the Virtual Console in the iDrac, go to the ‘Virtual Media’ menu on the iDrac remote session and select the ISO. Remember, this requires a fully licensed iDrac. Go to the ‘Next Boot’ menu and choose the ‘Virtual CD/DVD/ISO’ option. Reboot the server from the iDrac and it should boot directly to the installer or at least recognize it as bootable media. For more information about Dell, check out our partner page. I recently had a computer that would hang for long periods whenever it encountered a video file, generally Shockwave. The behavior was cross-browser effecting Internet Explorer, Chrome, and FireFox. As a result, I tried fiddling with various settings in all three tools with no results. Finally I simply uninstalled Adobe Shockwave and went to the site and reinstalled it. Problem solved. Type Shockwave in a search. To learn more about Acumen and what we do, visit our contact page. WinPCap 4.1.2 is required by Wireshark, but is difficult to install on Windows 8. It give an error that it cannot be installed on this version of Windows. This message is misleading and inaccurate. WinPCap can be installed on Windows 8. 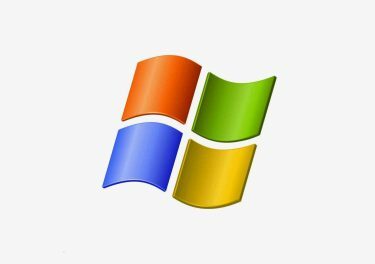 The error message is a common Windows message and the common resolution is to can change the application compatibility mode to Windows 7 or Windows XP SP3. Another common resolution is to use Run As to run the installer as Administrator. Unfortunately, this neither of these are sufficient to install WinPCap. Both of these are required, but you will often find that you still can’t install WinPCap. The real problem is a change to Windows 8 that makes driver installations more restrictive. To install WinPCap on Windows 8 you MUST be logged into Windows as a local machine administrator. Using Run As is not good enough to install drivers. Since some people (especially early adopters of Windows 8) run their system as a local administrator, the original instructions accidentally work for them. Don’t forget that you ALSO need the compatibility mode set to Windows XP SP3. We have found that this resolution applies to all installations that install drivers, in particular the Android ADB driver. When doing any driver installation, actually login as an Administrator on the Windows 8 machine. Now you can use Wireshark on Windows 8 and Windows Server 2012. We can provide help for your project, please see our Wireshark, Security Assessment, and Security Consulting pages.